What a fabulous weekend getting to know new people with a similar diagnosis. 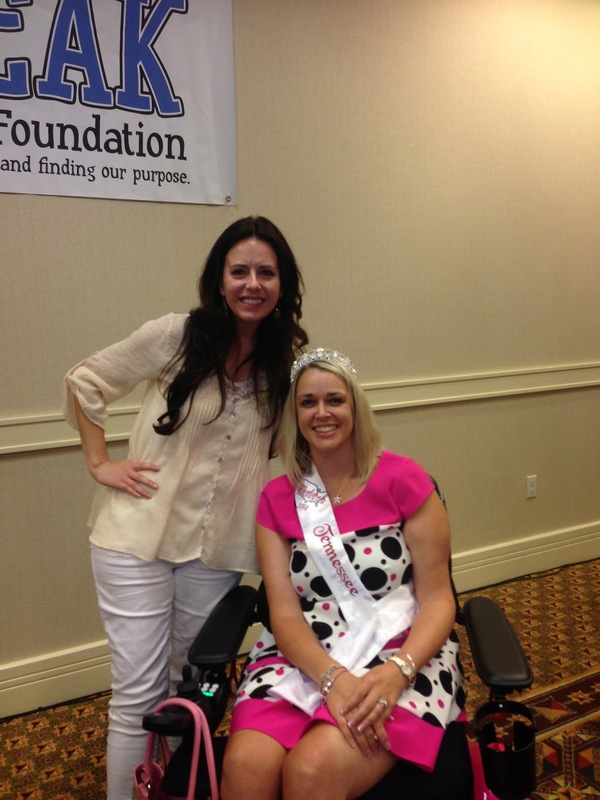 I was invited by Kathryn Bryant, Speak Foundation Founder, to be a guest speaker during one of the sessions. It's still odd to me that I am a guest speaker at anything. I still think of myself as an average girl, raising a family, working, going to school, and just enjoying life. 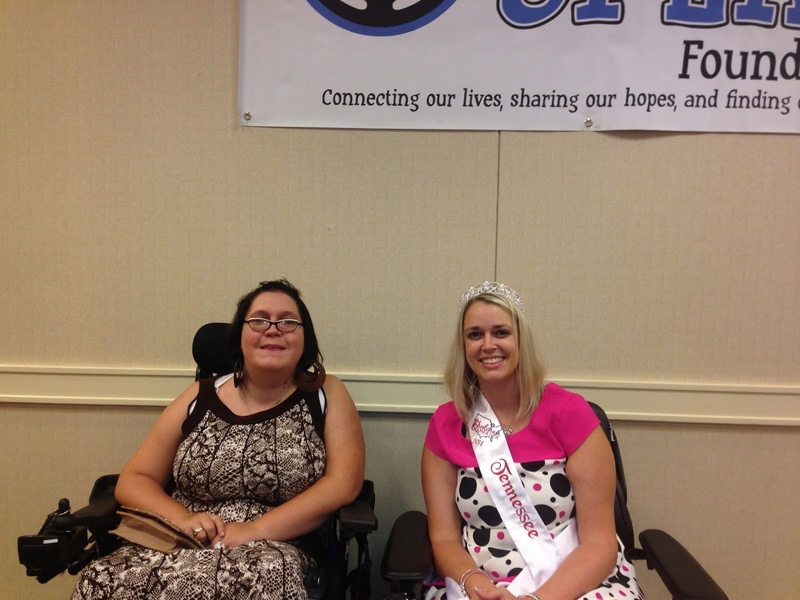 The Speak Foundation was created as a way for other Muscular Dystrophy patients to connect with one another. The Speak Foundation is an organization that is dedicated to helping people of all ages overcome the challenges of muscular dystrophy and other physical health conditions. Our organization is full of volunteers who live daily with some of the greatest challenges and are also the most inspiring people we have ever met. 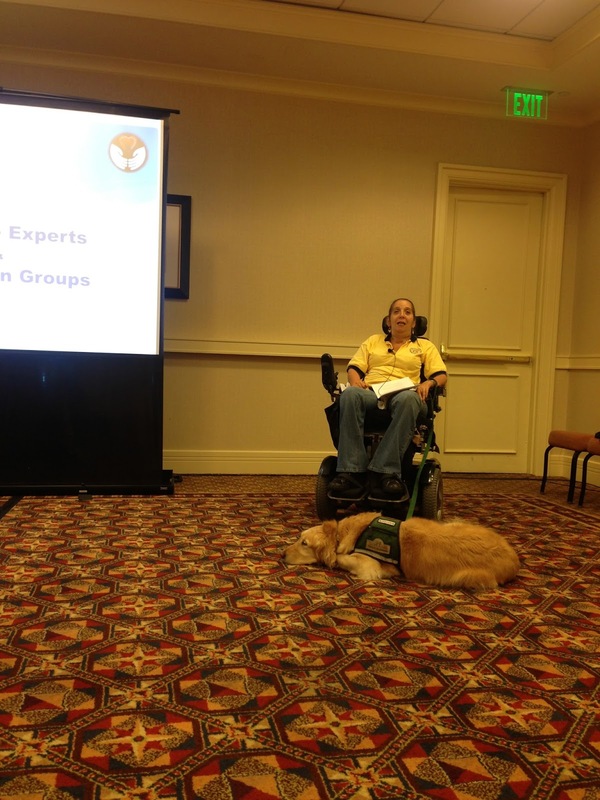 We share how to overcome obstacles at our national conference each year. Because muscular dystrophy services are being reduced in many other areas, people with muscular dystrophy are in need of help and in great need of hope. There is no cure or treatment for this disease yet. 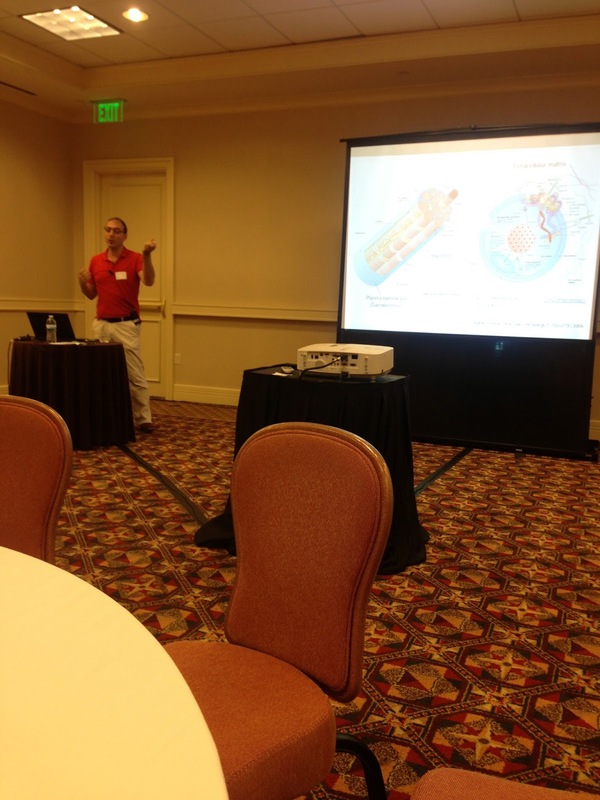 Each year, TSF provides a free national conference to people who are overcoming the life challenge of muscular dystrophy or other serious physical health conditions. In addition to our desire to connect the lives of individuals with muscular dystrophy or other health conditions, through events like our annual Speak Retreat and Conference, the Speak Foundation is a Christian organization that seeks to promote the charity and welfare of physically ill children who are poor or orphaned in our country and internationally. 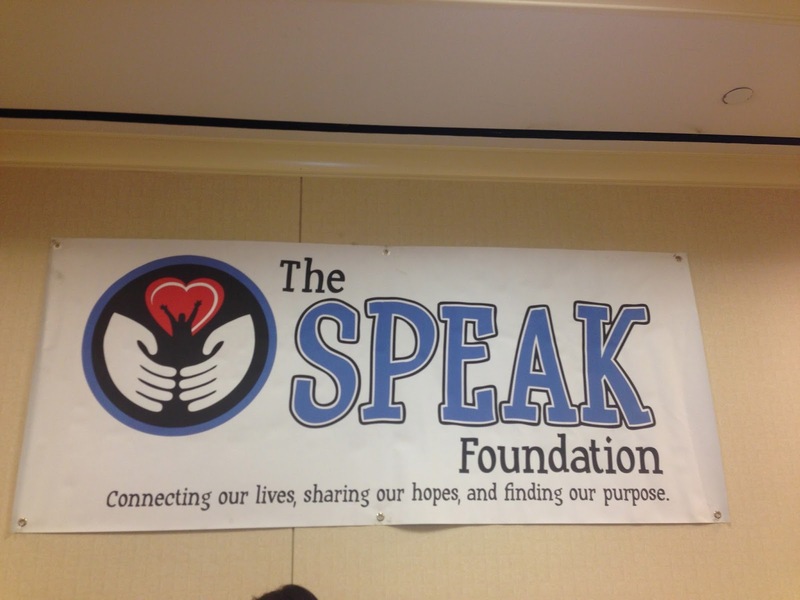 It is a part of the mission of the Speak Foundation to speak up for those who are unable to speak for themselves. This weekend's conference is the first time some of these individuals have ever even met someone with a similar diagnosis. Everyone is in a different stage of illness (for lack of better word). It is wonderful to have an opportunity to share information about what works and doesn't work with people have have actual been there already and experienced certain changes. Trust me when I say we do a lot of thinking outside the box to make everyday activities work for us. My weakness has progressed much further than some and not as much as others. There were several younger ladies who used a power chair for distance purposes only. They could still walk, just not very far. I remember those days. I almost felt like a 'has been' because I had already been there done that. Lol! I know that these girls still have so many more wonderful opportunities to experience. And I also know that if they have to start using the chair full time the wonderful opportunities don't stop there!! 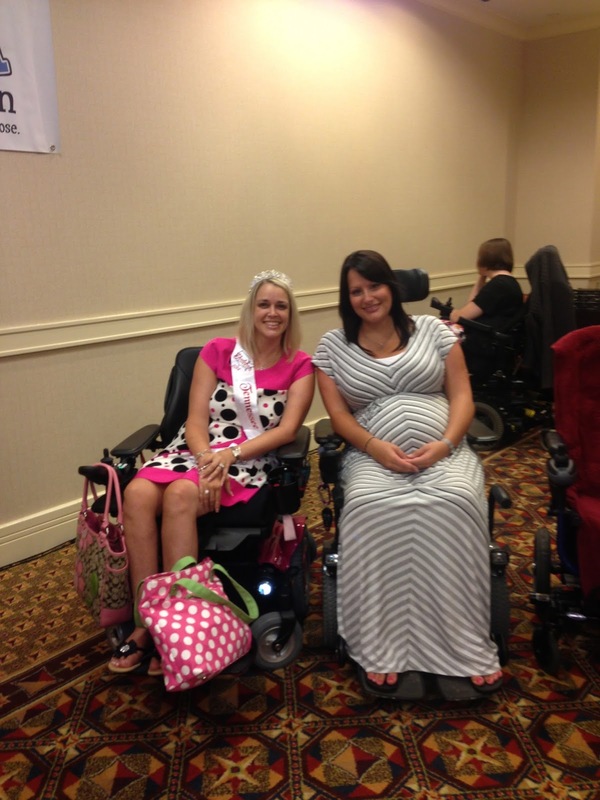 I was pregnant and in my wheelchair full time. There are no limits to what you can do. You just have to be willing to do things a little different, and different is GOOD!! I really look forward to this being a conference I attend every year. Thanks to The Speak Foundation, I now have more friends across the country. It was a pleasure to meet everyone and I look forward to staying in touch with them until next year. I know I sound like a broken record, but you inspire more than you know! When things calm down for you, I'd love to have lunch with you my treat. You do great work, very inspiring. TJ....thanks so much for all you comments!! I love that you are enjoying the story. I would love to do lunch...tell me when! Thanks, Hannah...It makes me smile to know people are reading.